Since 1964 David Redford has specialized in representing clients in a variety of types of complex litigation in the fields of commercial/securities, telecommunications, maritime, personal injury, toxic tort, intellectual property, transportation, construction, probate and medical practice. He has tried cases in the state and federal courts, as well as appeals. 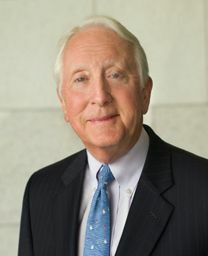 Adjunct Professor, Admiralty, South Texas Law School (1972); President, Houston Young Lawyers (1972); Chairman of several Houston Bar Association committees.